iSquint is a free Mac application that helped you convert videos and movies for an Apple iPod/iPhone/Apple TV compatible device. VisualHub, on the other hand, is a paid Mac app that allows you to convert to more types of devices and media, like for PSP, DV, DVD, AVI, WMV and Flash. This article introduces best iSquint for Windows 10/8/7/Vista/XP, best iSquint Alternative/Replacement for Mac (Mountain Lion/Lion/Snow Leopard) as well as VisualHub altnernative for Mac and Windows. ImToo Video Converter Ultimate is the Best VisualHub and iSquint for Windows 10/8/7/Vista/XP and . The video converter can play, convert between nearly all HD and SD format videos, and convert them into 3D videos with amazing image quality. Among the many video formats supported by this great Video Converter for Mac include AVCHD (*.m2ts, *.mts), H.264/MPEG-4 AVC, MPEG-2 HD, MPEG-4 TS HD, MPEG-2 TS HD, Quick Time HD, WMV HD, AVI HD, MKV, H.264/AVC, AVI, WMV, MPEG, MP4, MOV, MXF and many others. It can also work as an audio converter to convert between all popular audio files such as MP3, WMA, AAC, WAV, CDA, OGG, APE, CUE, FLAC, ALAC, and so on. ImToo Video Converter Ultimate supports most multimedia devices including the iPad, iPhone, iPod touch, Apple TV, PSP, PS3, BlackBerry, Zune, Archos, iRiver, Creative Zen Vision, Xbox360, Google phones, and mobile phones. In addition, you can also edit your files by clipping, merging, splitting, or cropping, adding watermarks/soundtracks/effects using this perfect Windows video converter. ImToo Video Converter Ultimate fully support 64 bit or 32bit Windows 10, Windows 8, Windows 7, Windows Vista and Windows XP. Wondershare Video Converter Ultimate for Mac is the all-in-one iSquint Alternative/Replacement for Mac Mountain Lion/Lion/Snow Leopard that lets you rip DVDs (including those with copyright protection), convert video and audio files, copy & burn DVDs, and instantly download online video. Do it all in one place and do it faster. Enjoy media files on iPad, iPhone, Apple TV, iPod, PSP etc. 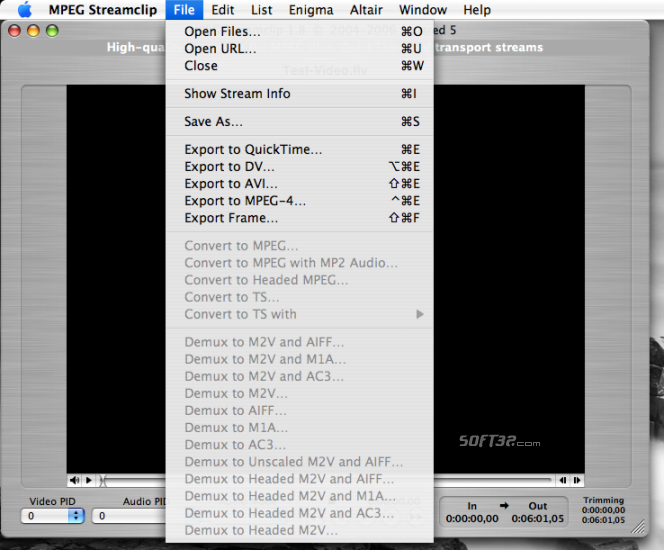 MPEG Streamclip is a powerful free video converter, player, and editor for Mac. 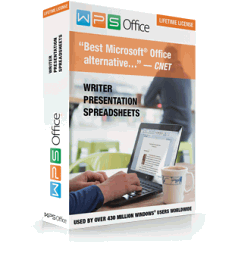 It can convert, and play movie files in many formats. As a video editor, it can cut, trim and join movies. MPEG Streamclip can also download videos from YouTube and Google by entering the page URL. 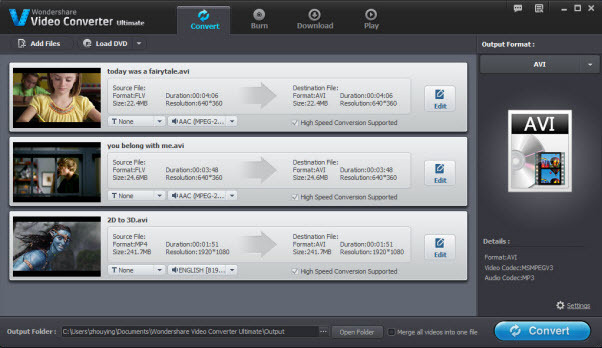 The free video converter is compatible with Mountain Lion. HandBrake is an open-source, GPL-licensed, multiplatform, multithreaded video transcoder. Handbrake can process most common multimeida files and any DVD or Bluray sources that do not contain any kind of copy protection and convert them to MP4 or MKV in MPEG-2, MPEG-4, H.264 or Theora video codec. Installation Handbrake requires of 64-bit processor, OS X 10.6 or later.